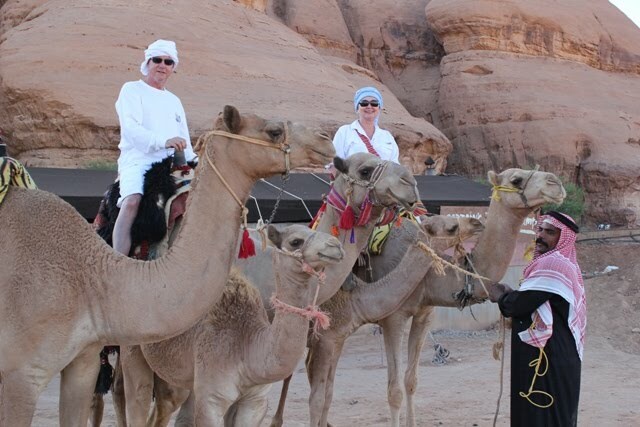 Dodging retirement in 2010, Katie and Roger Foster took a "leap-of-faith" and moved to Dubai in the United Arab Emirates when Roger accepted a position there. The Arabian adventure would last 4 years. This blog is an account of their expat experiences and travels around the Arabian peninsula and beyond. Never in my wildest dreams did I imagine I would be moving to a foreign country to live, let alone a country in the Middle East. Over the 2009 Christmas and New Year’s holidays, my husband Roger and I discussed what we wanted the next part of our life to be like. He thought that before retiring, he would like to do one more airport project but only if he could find something very interesting. I half-jokingly agreed that would be fine but could he try for an exotic location? As usual, Roger came through and soon we were headed to Dubai in the United Arab Emirates. 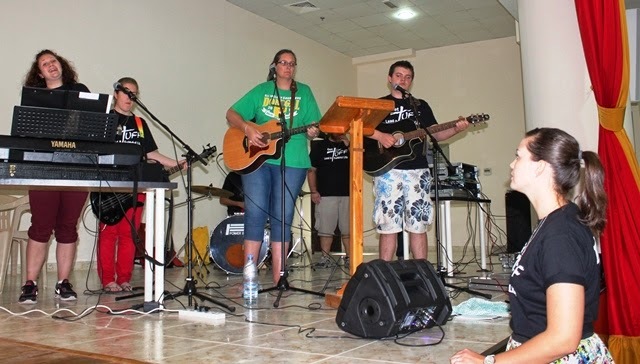 This blog is a recap of our "leap-of- faith" wanderings around the Middle East and beyond. We joyfully share these expat experiences. 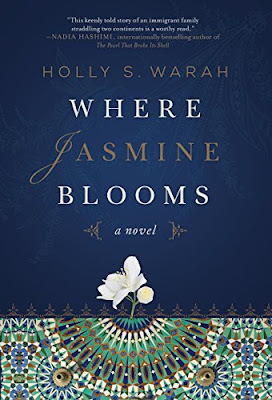 Author Holly Warah's novel is a compelling read. Filled with intricate details of mixed cultural marriages, the novel never fails to intrigue and satisfy the reader. Where Jasmin Blooms is a refreshing novel that delicately and adroitly navigates the divide between cultural and religious beliefs and customs of Palestinian Islamists and American Christians. Following the joys and challenges of three women from different decades, and two different continents, whose lives are entwined by marriage, the novel enlightens the reader to the joys and frustrations each face. This book was so compelling that I actually read it in one sitting. In today's world of clashing cultures, this is a must read for anyone interested in understanding cultural and religious differences. I heartily recommend it for its honest and thoughtful commentary on cross-cultural families. Deep Deceit . . . a must read thriller! Living in a foreign country is a lifestyle not for the faint-hearted, even for a professional expat like Deep Deceit’s protagonist Celeste. Navigating unfamiliar rules and customs when things go awry can be heart wrenching. Throw in the mysterious allure of Dubai and Saudi Arabia and you have a double whammy that makes for an intriguing thriller. Anne O’Connell,in her second novel, gets it right. Set in the tumultuous Middle East, the pace quickens and the plot thickens as Celeste battles an abusive charlatan husband, searches for her kidnapped 18-year old temperamental daughter and defies death threats from Saudi nationals while trying to cope with her own fragile mental health. Not only is this novel an exhilarating “can’t put it down” page-turner, it also is an excellent look into what an expat can expect living in the Middle East. Woven in this excellent read are the essential elements needed to survive in the unfamiliar world of a Muslim country. This is a must read for anyone who enjoys a real thriller but also for anyone interested in knowing what it is like for an expat to live in Dubai and the Middle East. 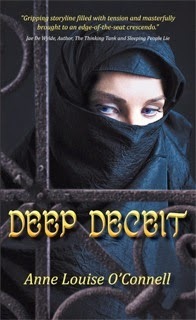 Follow Deep Deceit on Facebook. An Arabian Asayles Beauty Queen. The first time I heard about a Camel Beauty Contest I laughed. I had no idea these goofy-looking beasts with the big hump had a lot in common with very valuable majestic thoroughbred horses. I learned at the camel festival that a camel’s value, performance and beauty, just like a thoroughbred’s, are determined by their skeletal structure, the sleekness of their coat and the all-important pedigree. Both can cost an absolute fortune. There is a disparaging saying, “A camel is a horse designed by a committee” because its parts don’t go together. But, I tell you that after our forays into camel festival beauty contests, I believe that a camel is far more complex and has a beauty all-to-its own that can rival a thoroughbred any day. 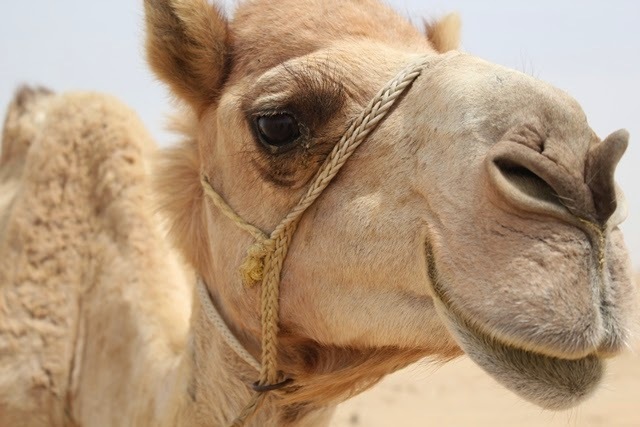 Now that Roger and I are semi-pros on the camel festival circuit, I think it is time to impart what we’ve learned about judging a camel’s beauty. I am certain that newly un-employed American Idol judge Simon Cowell is rolling his eyes and touting that little “I can’t believe I am hearing this” smirk. But just eat your heart out Simon, this is way out of your judging league. The cavernous hall is set to accommodate 900. The band puts finishing touches on a few songs. Volunteers struggle to hang banners on the stage. A group of helpers hustle to fill 900 “goody” bags. Performers focus inwardly, preparing for the show. Outside, buses continuously arrive disgorging their boisterous teenage passengers into the courtyard. This mass of adolescent humanity steal clandestine measures of each other as they move into the hall and jockey for front row seats. The noise level is close to ear-splitting. Roger and I sit in the audience stunned by the scene unfolding around us. are cheered on by Mickenzie. A music concert about to begin you may think? “We are chaperoning this group for the weekend?” Roger asks incredulously. All I can muster is a catatonic nod. Note to readers: This is part one of a three part series about our adventure to the Al Dhafra Camel Festival. Top 10 Tips for Enjoying the Al Dhafra Camel Festival, Camel Bling-Bling and How to Judge a Camel Beauty Contest. 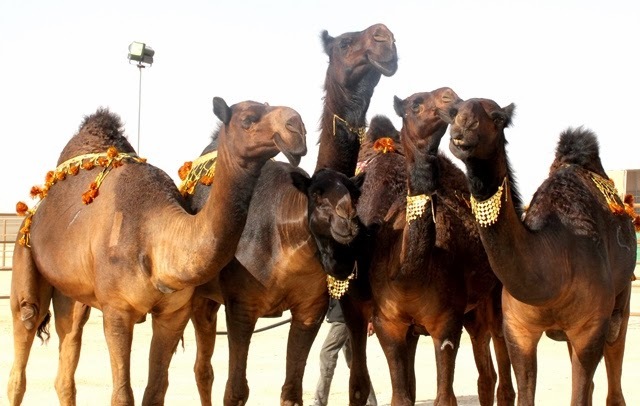 Prized camel beauty contestants showing off their bling-bling. Roger and I are at the Al Dhafra Camel Festival located just passed Madinat Zayed in the desert off Abu Dhabi Island. 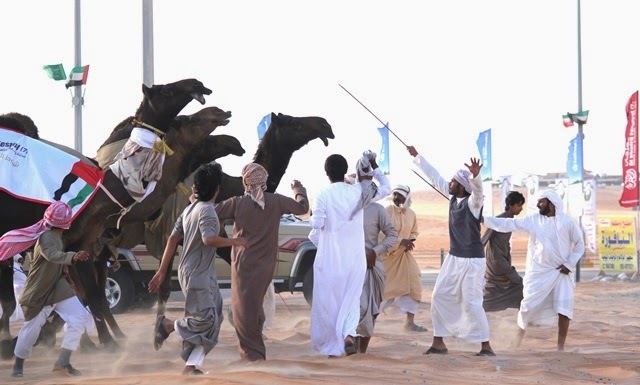 Among the many events at this two-week long celebration are camel beauty contests. It is astounding that more than 25,000 camels come from neighboring Gulf countries to compete. And it is even more astounding that in the offering is AED 66,000,000+ ($1,798,365) in prizes for the various contests held during the festival. All this is enticing, but I am most intrigued with the camel bling-bling – a huge business here. Note to readers: This is part one of a three part series about our adventure to the Al Dhafra Camel Festival. Coming soon are Camel Bling-Bling and How to Judge a Camel Beauty Contest. There is an art to enjoying a camel festival . . . If you are looking for an authentic Arab experience, the Dahfra Camel Festival is a must see. This celebrated festival occurs the last two weeks of December in a desert camp city that sprouts up just outside of Madinat Zayed about a 2 hour ride into the desert from Abu Dhabi. This is a serious festival. At the 2013 Festival, the winners of the various festival competitions took home 50 million dirhams ($13,623,978+) in prize money including 198 top-of-the-line SUVs. In 2012, Roger and I ranked this camel festival #2 in our 2012 Top Adventures In and Around Dubai; for 2013 it will retain its #2 slot. We just love getting down with the natives! 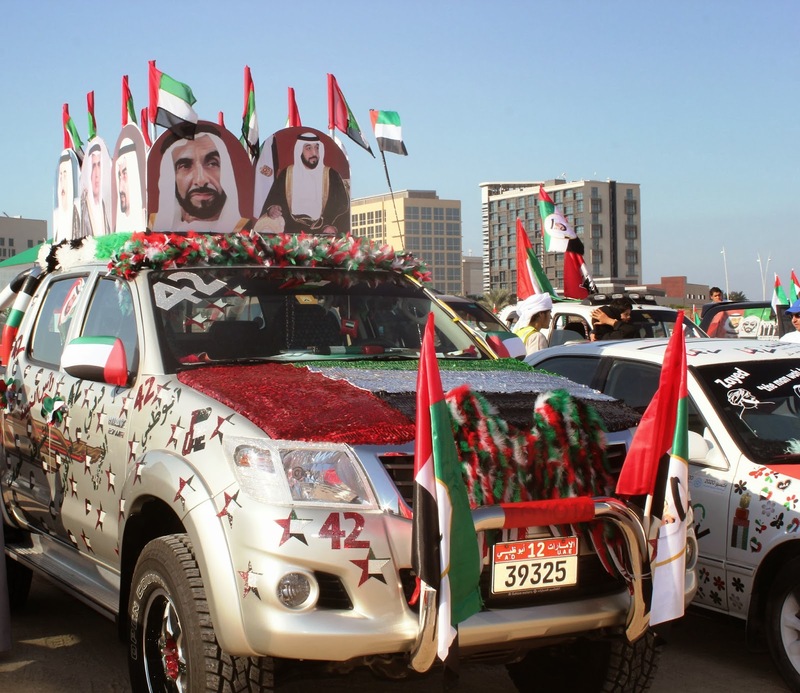 Countries around the world relish celebrating their founding days and in the United Arab Emirates (UAE) they take their National Day seriously. 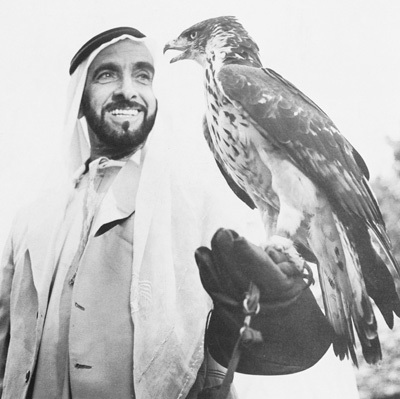 Celebrated on December 2, National Day commemorates the day in 1971 that His Highness Sheikh Zayed bin Sultan Al Nahyan banded together the seven emirates of the Trucial States to form a new country - United Arab Emirates. National Day is an exuberant celebration of the greatness of this young country’s heritage. One thing Emiratis love is their cars. Just stand on any street corner and watch the show. Glitzy, glamorous, bejeweled and audacious are words that describe the cars you can see. 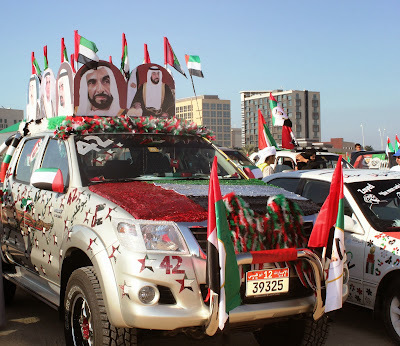 For National Day, all restraints are unleashed in the fervorous activity to decorate one’s car for the big celebration and show one’s love for their country . . . and proudly parading them all over town. TOP 10 REASONS I LOVE LIVING IN DUBAI!! 36 HOURS in DUBAI . . . Top 10 Things to Do and See in Dubai! The Sheikh Zayed Grand Mosque - One of the most talked about attractions in the world! Travel to Jordan . . . JORDAN JOURNEY - Romantic dining . . spiritual wanderings . . desert romance!